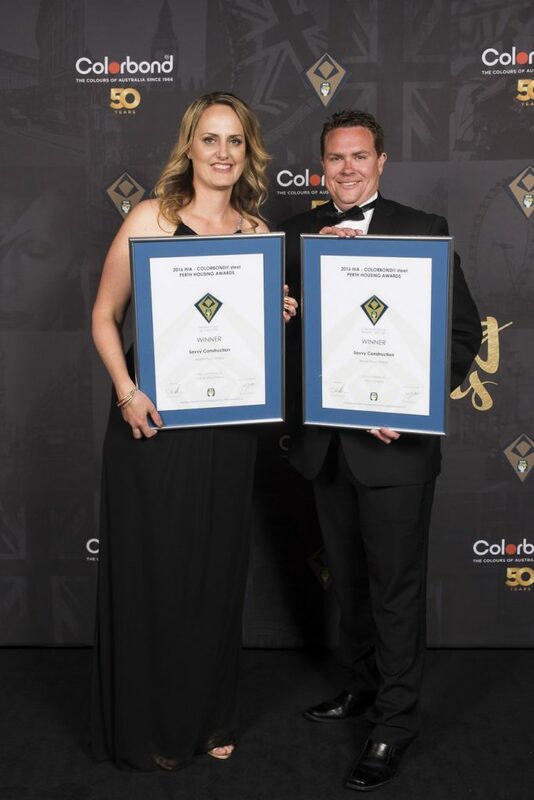 A 100% strike rate is a great effort – and that’s exactly what we achieved at the 2016 HIA - COLORBOND® steel PERTH HOUSING AWARDS held at the Perth Exhibition and Convention Centre on Saturday the 29th of November 2016. By having only two entries the odds were firmly against us – but Ryan Cole proved to be an award winning builder once again when he won both categories entered. These awards further validate Ryan as a multi-talented builder having won several industry awards for complex renovations, new builds and outdoor works projects. Nothing is off limits and any project Ryan undertakes, he does so with enthusiasm and precision. His attention to detail is second to none. Congratulations to Ryan and the team – fantastic work! If you have an upcoming project that you would like to discuss with Ryan, please call him on 0433 051 982. We’re very competitive in the marketplace despite being small, because we keep our overheads low. We don’t pay sales commissions, we offer free design consultation, Ryan personally supervises every project, we cap the amount of work we undertake - and you will be dealing directly with Ryan throughout the entire building process. We can also put you in touch with past and present clients should you wish; and if you would like to inspect our 2016 award winning projects we can arrange that too!